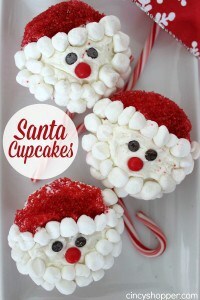 These Santa Cupcakes are so simple, cute and quick for serving up for the holidays. 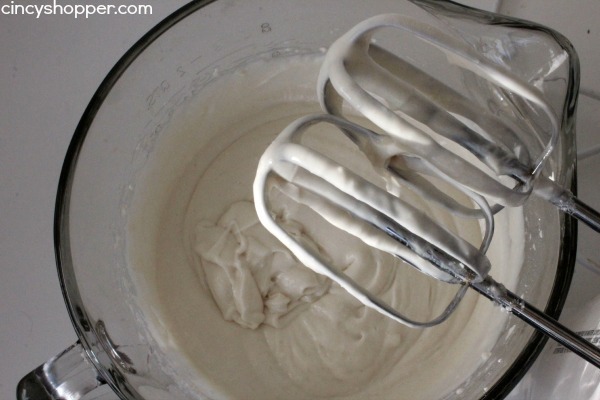 If you are like me you are still planning last minute Christmas desserts. 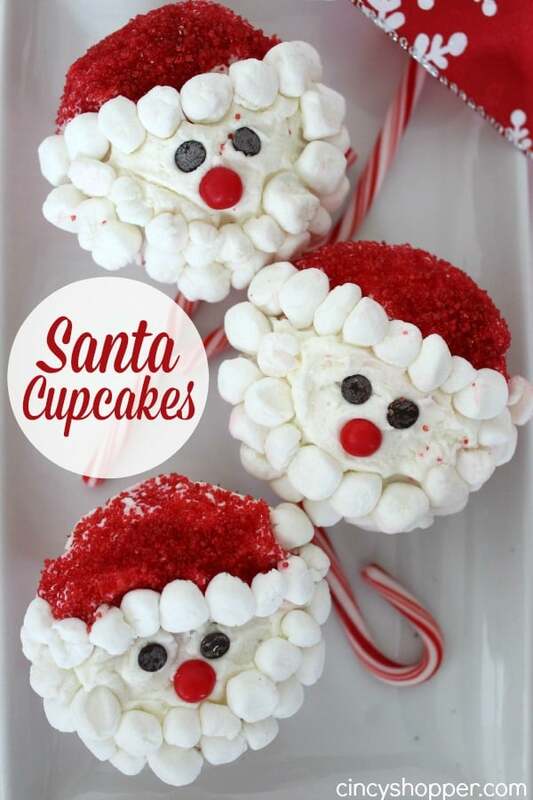 These simple and cute Santa Cupcakes will come together with very little effort. 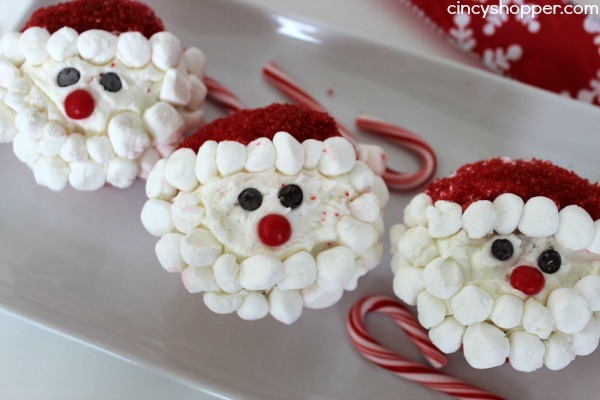 They are so simple you can even have your kiddos help with decorating up the cute Santa faces. They are almost as simple as the Santa Hat Oreos I shared with you the other day. My son took these for his play date last week and the kids were all super excited. 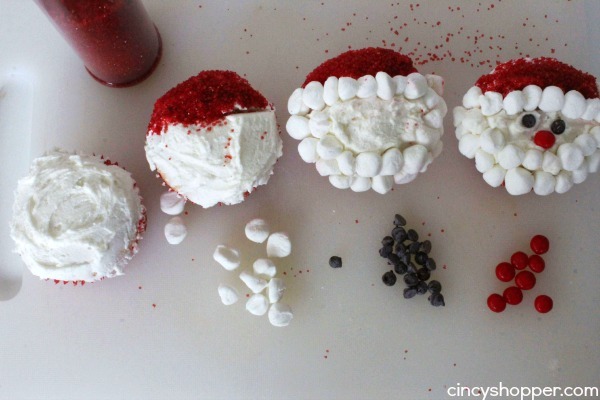 I am sure they will be a hit at your Christmas parties or a perfect after school treat. 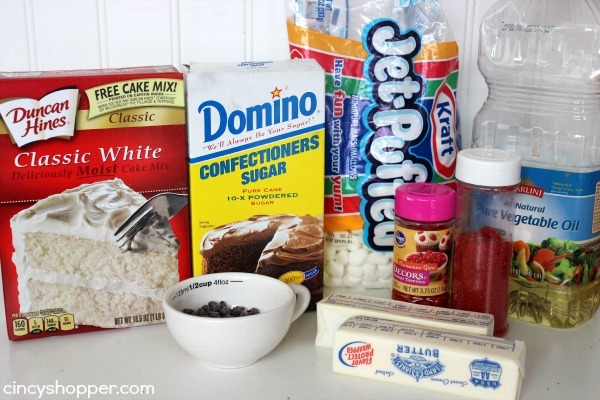 Just grab a basic cake mix, store bought frosting (or make your own) some marshmallows, sprinkles and chocolate chips. Pretty simple. 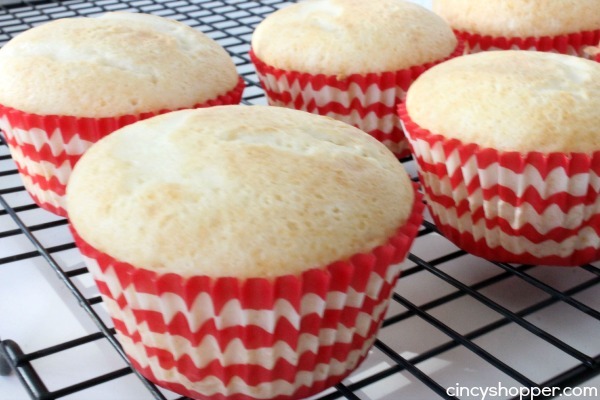 Mix and bake cupcakes according to box directions. 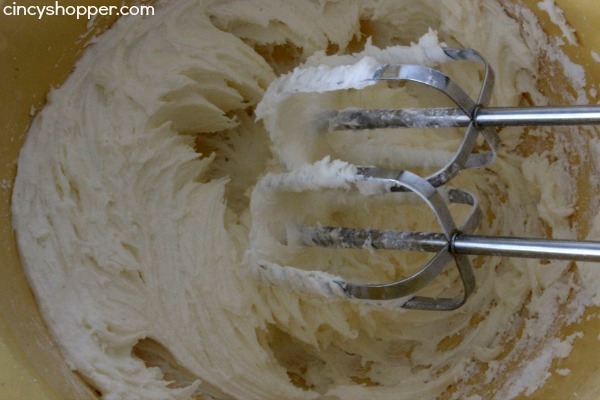 Sprinkle red sparkling sugar across the upper third of the top to make a hat. Cut each mini marshmallow in half. Place mini marshmallows to put a ball on the hat, make a fur band and make Santa’s beard. Place the Red Hot for the nose and two mini chocolate chips for the eyes. Place mini marshmallows to put a ball on the hat, make a fur band and make Santa's beard.